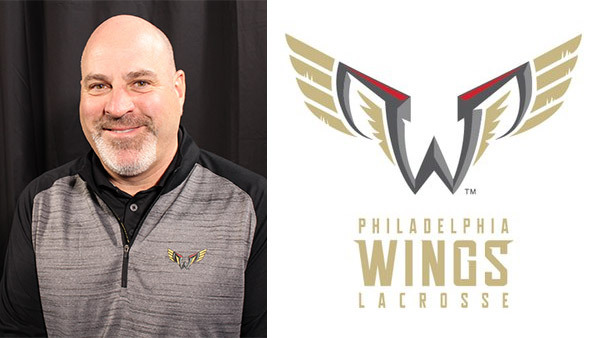 PHILADELPHIA (WPVI) -- To hear Paul Day talk about the Philadelphia Wings, one can only see why there is optimism for this new - yet familiar - addition to the Philly sports scene. "There's a great tradition and great history with the Wings' alumni and Wings fans. They are the best fans in the league for 20 plus years. To be able to bring it back, it's new, but it's also going to have some great history behind it," Day, the General Manager and Head Coach, told Action News. Philly has seen the Wings' professional lacrosse team before, in multiple incarnations - first, from 1974 to 1975 and then again from 1987 until they moved to New England in 2014. 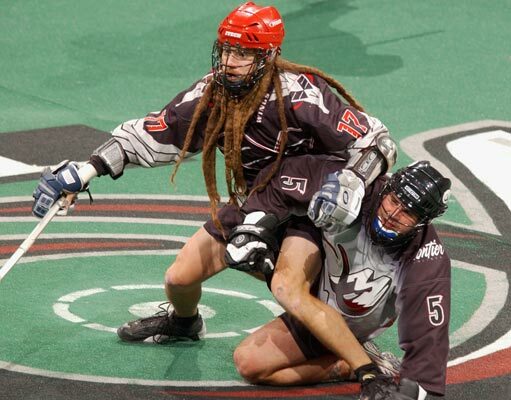 In their era, the Wings tied for most championships - six - in National Lacrosse League History. But it's a new day for the Wings. While Coach Day will remind the players of the rich history of the team, he'll also get them set for the years to come. "We plan to make sure they know what it meant to be a Wing back in the day. We're tied for the most championships in league history. We plan on making sure they know that and that we want to add to that. We'd like to get 7," Day said. After a slump following the 2008 Phillies World Series Championship, Philly sports is gaining national attention from the Eagles Super Bowl victory, along with the Soul and Villanova championships, to the 76ers and Flyers making their respective playoffs. Day, a native of Peterborough, Ontario, Canada, has worked for years to get to this point where he has the chance to lead a Philadelphia team to a championship. But his hard work and determination have not always been solely focused on the lacrosse field. In fact, Day just recently retired from his full-time day job - police officer. "When I was at university, I was sharpening skates at a sports store. A guy I used to play hockey with, he was drafted by the Calgary Flames, he came in with his skates, I thought he was still playing, but he said, 'No, I'm retired, I'm a police officer.' I said, 'What's that like?' He said, 'It's like being on a team," Day said. For 27 years, until his retirement last August, Day was a member of the Niagara Regional Police Service in Ontario. Though the two professions may seem dissimilar, that's far from the truth, Day said. "Dedication, commitment, teamwork, sometimes it's life and death rather than wins and losses, but it's very similar. It was a great career, but I'm happy to be doing lacrosse fulltime," Day said. While Day was enforcing the law, he was also keeping his lacrosse skills sharp. Unlike other professional sports, professional lacrosse players have day jobs - teacher, firefighter, investor, and, yes, police officer. Day has been both player and coach while he was on patrol full-time. He recalled working until 4 a.m., then getting on a van to go to an airport to make it to a game that weekend in Detroit. But he said it's that way of life that connects the lacrosse player to the fan. "They are just like the fans. They are blue collar. A lot of time there is a really good relationship between the fans and the players in our league because they are not millionaires living in big houses, they are just regular working people that happen to be the best lacrosse players in the world," Day said, adding, "They are just like us - just bigger, stronger, and faster." Day is looking forward to bringing lacrosse back to Philly for all those fans who were there during the first two stints. Philadelphia Wings defenseman Tom Ryan, left, knocks over Colorado Mammoth defenseman Jamie Hanford as they battle for control of the ball in Denver on Friday, Dec. 6, 2002. "I've heard from a lot of Wings fans. They are excited. You just want to make sure they know that it's going to be as good or better than it was in the past," Day said. But he also knows not everyone in Philadelphia may be as familiar with the hidden ball play as they are with the Philly Special. Day is not worried. He knows the game - a hybrid game as it's called - can win over any newcomer. "If you mixed outdoor lacrosse with the kind of speed and physicality of football and hockey together - and it's a pick and roll game like basketball. It's fast. It's exciting. It's music playing the whole time. The monster truck mentality with professional sports. It's basically a party and a lacrosse game breaks out on the floor," Day said. The player roster for the revived Wings, which has the same owner as the Flyers, Comcast Spectacor, won't be decided until the summer. Much like the Las Vegas Golden Knights of the NHL, the Philadelphia Wings will pick some players from other teams, as well as make selections from an entry draft. Training camp for the Wings begins in the fall and the first game is in December. There will be nine home games at the Wells Fargo Center. More than 2,000 season tickets have already been sold and Turf Row is completely sold out. Day is hearing the message from fans loud and clear - they remember the Wings and want lacrosse back in Philly. "They were the best fans in the league, it's so great to have them back," Day said. Tickets can be purchased at wingsLAX.com.